Povey is told to co-operate with the law over a theft from a local museum - but the Troutbridge crew get nervous when a police helicopter drops in. Troutbridge has an unfortunate collision with the Bumble Spit Light Vessel, and Murray is feeling tetchy because Rita is away. 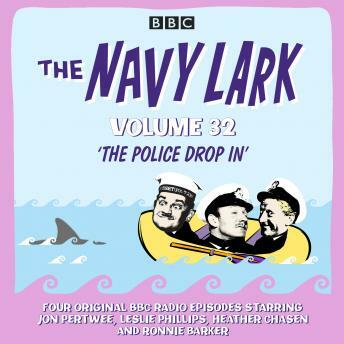 These classic BBC radio episodes also feature Ronnie Barker, Richard Caldicot, Heather Chasen, Tenniel Evans, Michael Bates and Elizabeth Morgan.